Pinball FX2 / Zen Pinball 2: Star Wars Pinball Review – A Critical Hit! 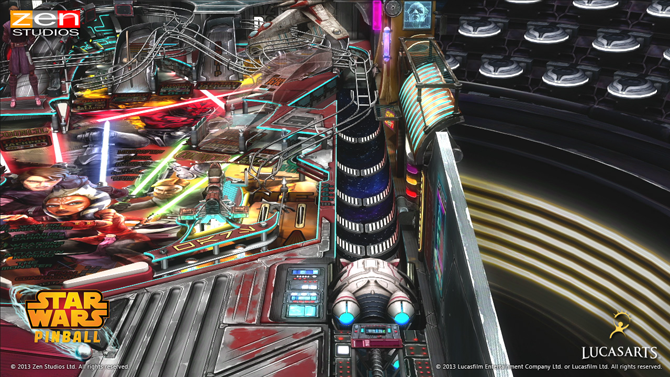 Pinball FX2 surprises us once again with another IP nobody ever thought they’d see as a pinball table: Star Wars! 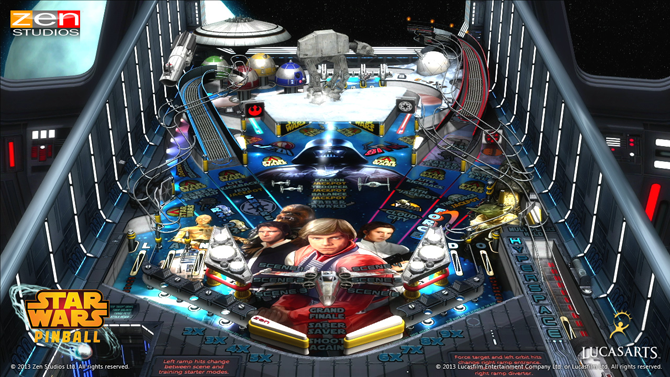 (Well, yes, there are real Star Wars pinball tables, but I’d never imagine it in a video game.) 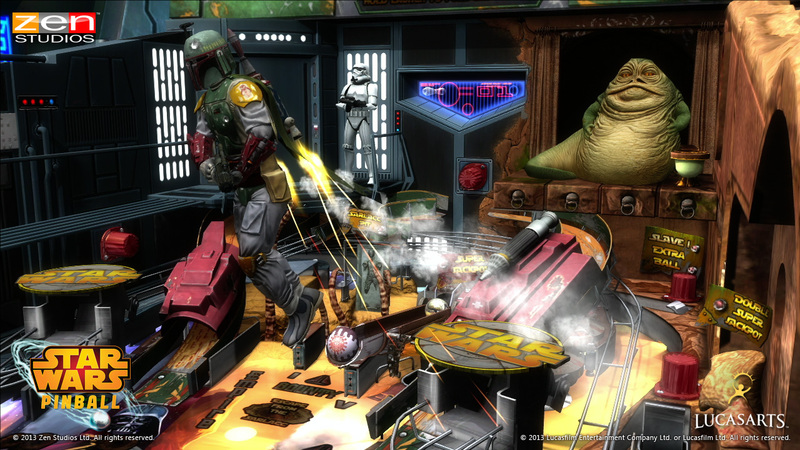 Zen Studios gives us another reason to boot up the fantastic Xbox Live pinball game and try out three new tables: Clone Wars, Boba Fett, and Episode V.
Aside from being the biggest badass in the galaxy, Boba Fett makes one mean pinball table. Greeted by some familiar Star Wars tunes (and some strange, out-of-place soundalikes) and a few UI sound effects taken from the classic PC game Jedi Knight, the Boba Fett table is modeled around Tatooine, more specifically Jabba’s palace and the Sarlacc pit. 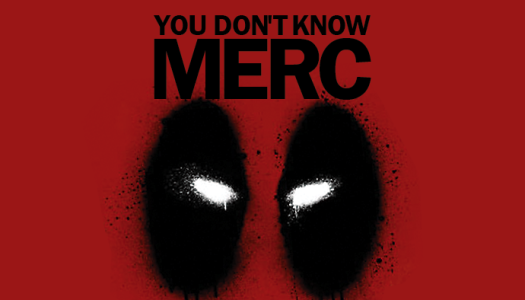 You’ll take bounties from Jabba and Darth Vader and collect weapons as one of Star Wars’ most-loved side characters. My main problem with the table, however, is the difficulty. The ball will way too often stray into a side gutter. 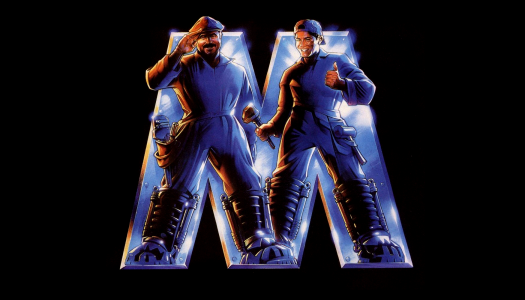 While there is a flipper in the left-side gutter, more often than not you’ll just end up knocking it into the other gutter. Regardless, Boba Fett is still a fun table, and has a really nice environment. I’ve never actually watched the Clone Wars cartoon, but I haven’t heard very favorable things about it. I wouldn’t exactly say the Clone Wars table is bad, its just very generic. Aside from the voiceover by Tom Kane and Anakin hopping around the table, I really didn’t find anything that distinguished the Clone Wars table from many other generic pinball tables. The table itself flows pretty well, but hearing Yoda say the same five or so lines every time you hit a ramp gets a little annoying. 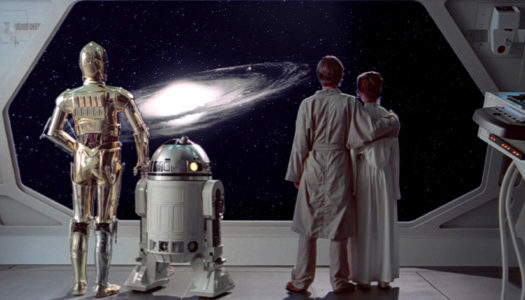 By far my favorite table of the three, Episode V borrows most of its material from the second (technically) Star Wars film. All of the events that happen on the table are taken directly from the best scenes of Episode V. The table flows really well, and some of the effects – like the ball sliding down a lit lightsaber, or forcefield ramps – work well both aesthetically and mechanically. If you were to buy the Star Wars Pinball set for one table, this would be it. Overall the three Star Wars Pinball tables are worthwhile. The Clone Wars table is kind of boring, and the Boba Fett table is pretty challenging, but will only get better with time. The Episode V table is by far the best of the three in my opinion, and really makes the whole set worthwhile.